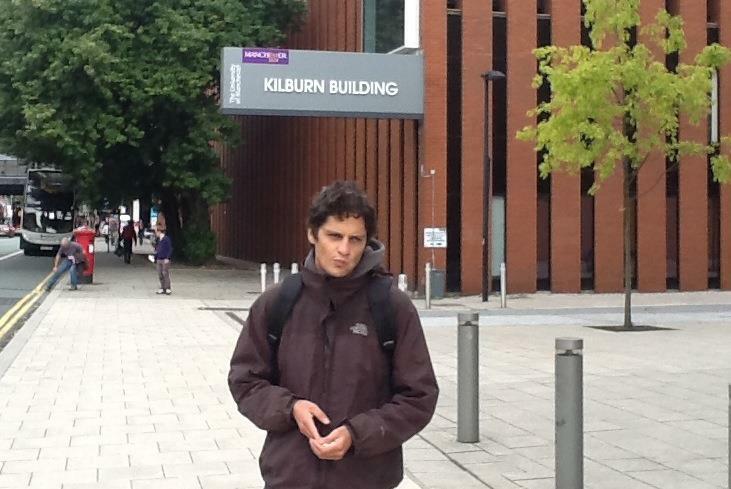 I have spent 4 years of my life at the University of Manchester and, in a few weeks, this chapter will come to an end. This blog was started during my first year and I haven’t stopped writing since. I hope it was and will be a nice read for students, but I need to move on to the next chapter. I truly think going to Uni was and still is the best decision I have ever taken. It seemed obvious, I never questioned it, but I had my doubts during the course of the last four years. I still remember not even considering a BSc because “it was too short”. I really wanted to have an experience and I thought three years were not enough for me. My fourth year turned out to be the one where I have applied all the lessons learned and set a direction to where I am heading. I came to Uni to experience life, meet people and play with computers. I think I have almost achieved what I was expecting from it. I say almost because I usually tend to have expectations that are not even human, so I never meet them (which is a good thing :D). However what I learned the most is that experiences don’t count. It’s not a matter of how much you have experienced in your life, but it’s about how much you have learned from it. You can keep trying new things, change and get out from your comfort zone every single day of your life, but the only question you need to ask yourself is “am I learning?”. If the answer is “No”, stop experiencing. There is no point. Focus on the things you like and be the best you can be. You will find your own definition of quality and who you are. After four years, I still don’t know who I am, where I come from and why I am part of this adventure, which I like to call life, but I am aware of who I want to be. That’s why I am going to invest the next 12 months in what I think truly expresses what you have read and I have shared with you. When I left high school I felt accomplished and excited about the future. Now I feel ready and although I haven’t got a job and I am not looking for one, I sense that somehow things will turn right. It’s not a matter of hope, destiny or luck. It’s more about pushing and never stopping to believe in it. I am moving to Berlin, with the hope to do my own thing and freelance for as long as I feel comfortable with this lifestyle. I think these are the years where I can really find out if I can do this or not. I will have different aims and interests later in life. However, before doing that, I believe I need to thank a few people. Think about this as the credits at the end of a movie. It took me six months to write this and I wanted to publish it the day I thought about it. I have been editing because there were things I had to say, people I had to thank and others who had to be forgotten. Some of you won’t be in this list, I am sorry. It might just be me forgetting about things, others won’t even expect this, but each one of these people have taught me something in their own way. Marco Sesto, for being a friend, a honest and sincere one, in the last four years. Missoula is our home. I’ll never forget it. 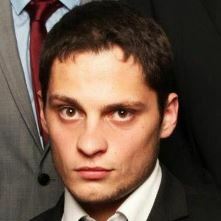 Antonio Marino, for being a friend, housemate, co-founder, startup buddy. You are going to have plenty of time to hug me in Berlin. Bilgin Oralerkaya, for our first year together (room 40 and 41), but most of all for always being there, no matter I was crying or happy. Lorenzo Linardi and Antonio Kaniadakis, for keeping in touch, even if we were miles away. In particular, thanks for introducing me to sushi. Brian, for helping me during my third year and listening to my boring thoughts along plenty of others. I’ll never forget the Amatriciana we had on the 26th of April, it was a Sunday. Sara Giorgi, for the long conversations about me (I was so selfish) and the £1 soups at the Learning Commons. Spyros, for the coursework we went through in the last two years and our own meaning of “quality”. Tim Langley and the CANDDi team for everything. Eddie is much better than Picasso. Alice, for the mug “People don’t buy what you sell, they buy why you do it”. I was a kid who was yet to find his own way through life. Marloes Kuijper, for the binary code, which was the most beautiful thing anyone has ever done to me. Rendik Zsofia, for bearing me and having too much patience, because “silence is not awkward”. I still remember that. I hope to see you soon in Budapest! Natalie Hanson, for the immense conversations on WhatsApp. I am still laughing and eating Nutella. Nat-ella, the CV and Cream-Fields were pieces of art. Andrea Sesto, for the illuminating lessons about life, relationships and girls. Big Andy, for rescuing me in the bathtub after I fainted in my first year and for being my housemate for 2 years. Julie Meersseman, for indirectly giving me one of the best lessons in life so far. Thanks for telling me how the Bible contradicts the definition of God and introducing me to the concept of Karma. Dalton Ellis, the best student accommodation in Manchester. The Learning Commons and my favourite spot on the corner of the ground floor, for not running away. Jez Lloyd, for going through thousands of words of blogging. Gavin Brown, for being my third year project supervisor. The LGBT group (Kemal, Massimiliano, Giuseppe) of the Five Star Movement and the party itself, for being my only chance to come back to Italy. Including all the friends I have made. The Italian Society, for all the friendships that has helped me create. In particular, that 25th of November that I will never forget. The Manchester Greater Police, for always being there when we needed it. I have never felt so protected and secure in 4 years. The Computer Science department, for letting me blog and supporting all the crazy ideas I have had over the last four years. The first house I have rented, after Dalton Ellis, for being the lowest point, in terms of accommodation, of my life. It was a good lesson and now I know I have to think twice before signing a contract. Nutella, sushi and hummus for being the only things that made me smile when I actually needed it. Clash of Clans, for lasting for 2 years. RIP. Zen and the art of motorcycle maintenance, because quality is about emotions and feelings, the rest is just quantity. My aunts, uncles and cousins, for being there, even though my WhatsApp presence wasn’t as some of them expected. Nonna Orietta, Nonno Mario e Nonna Laura (my grandparents), for supporting me even though I wasn’t skiping so much. Nonno Franco, for wishing me to graduate, even though he passed away while I was at Uni. I made it. “The best is yet to come”. My Sister and Briciola, for being there when I needed it, and Luigi for the Camomilla (sushi is coming 😉 ) . I think I have finally found who I am and what I really want to be. It took me four years of University, but luckily I feel I am leaving this place with something I will never forget. These have been 4 amazing years, but it would be hypocritical to define them as such, because there have been highs and lows. However I think they are amazing because they have given me plenty of stories, friends and lessons to learn from. Being a nice person is difficult, especially when you are an emotional bomb and a bit arrogant (worst thing ever), but University has also given me the chance to practice. I want to apologise to those who have found these writings a bit over the line and the ones who have been hurt or insulted by me. We all do mistakes. Some of us have the ability to understand them and learn, while others keep repeating them. I will always try to be in the first category. My last advice to you is about people. You will meet plenty here and they will all have different opinions and views about future, relationships, life and love. Try to always respect them and don’t force them to be someone they are not. Let them be who they are choosing to be whether they are right or wrong is up to them to decide.